The Griffan invitation suite will help to define your special day as elegant and refined. 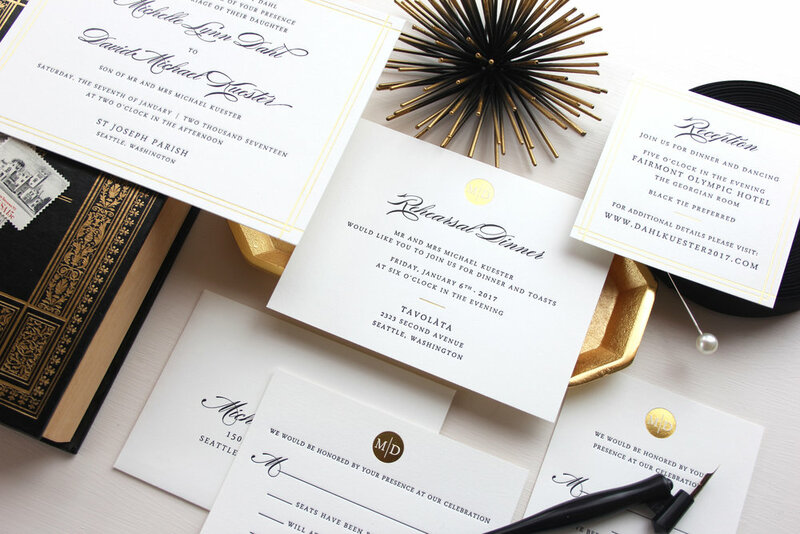 With or without the use of the border on the Invitation, the suite is sophisticated and classic. 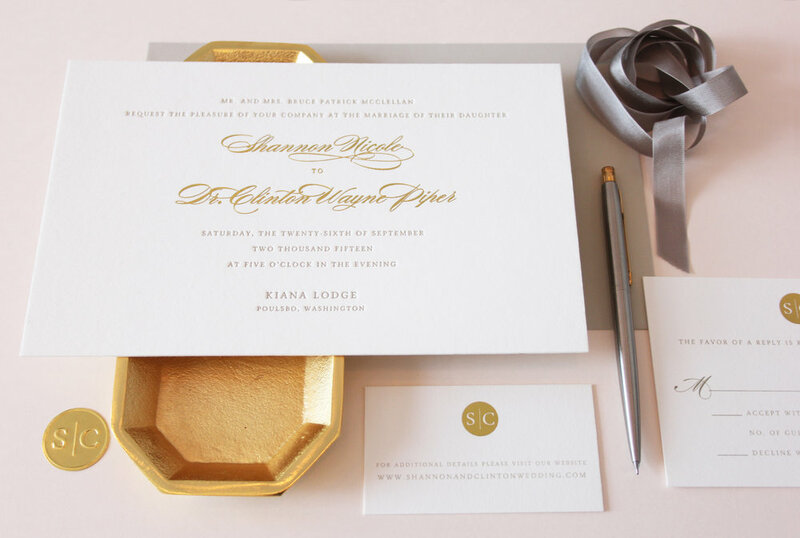 Beautiful in foil or simple letterpress, this Invitation is sure to set the stage.